“It is a rare gift to meet a human being in whom love—and this means God—is so overwhelmingly manifest. It undercuts theological arrogance as well as pious isolation. It is more than justice and it is greater than faith and hope. It is the presence of God Himself. For God is love. 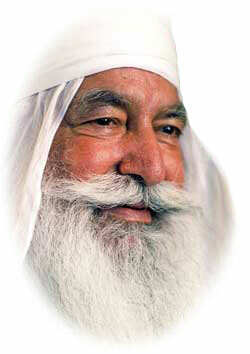 Baba Virsa Singh ji is a holy person of biblical proportions whose powerful spirituality was first recognized when he was a child. His family lived in the mud brick village of Sarawan Bodla, where he helped on the farm until one day when he saw sap pouring out of green fodder he had cut, felt that he had committed a great sin and prayed that he would be released from that duty. At once, sores appeared on the soles of his feet—so painful that he could not work. From that time he began meditating day and night under the tree now known as Ber Sahib, calling out to the Formless God whom he could not see. 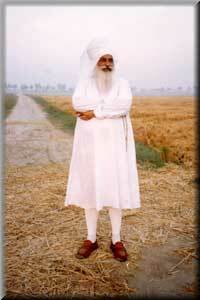 At last, an awesome figure appeared to him and began instructing him in strict meditation and service to humanity. 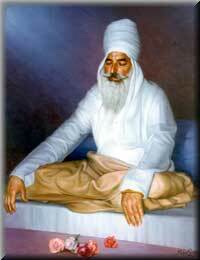 This was Baba Siri Chand, renunciate elder son of Guru Nanak Dev, the first Sikh Guru. Guru Gobind Singh the great tenth Sikh Guru, also began instructing young Virsa Singh in vision. When the boy began healing intractable diseases, bringing the dead back to life and transforming people’s lives, villagers recognized that great spirtual powers were develping within him. They began to gather around him and all have stories of the miracles that happened daily among his followers. Obeying the command of God, Babaji moved from place to place, reminding people of the eternal truths of religion, beyond any sectarian divisions. Under spiritual guidance—including communication with the crops and land and trees themselves—Babaji also began developing his orderly, flourshing farms in previously harsh environments. 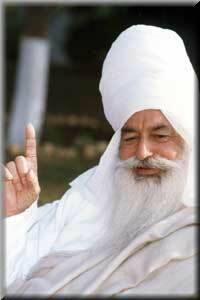 Babaji makes no claim being a Guru. He does not seek fame, followers, or money. He says: “I am just trying to be a better human being; what I say is not new. I just repeat the commands of God so that people will remember and practice them.” The lives and teachings of Sikh Gurus are the model for his practical work, yet he continually reminds people of the enlightened teachings of all prophets. 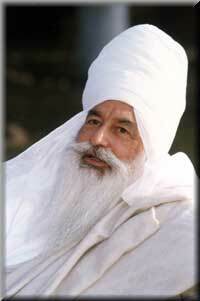 He stresses that sectarian divisions have been created by humans, not by God or God’s messengers.